BATON ROUGE – On Monday, November 28, Sage Rehabilitation Hospital and Outpatient Services broke ground on a state-of-the-art outpatient facility. 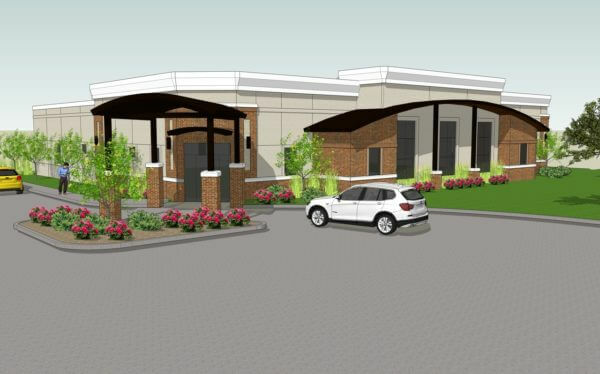 The new 10,000-square-foot clinic will allow Sage space to treat more patients in the Baton Rouge community and includes a 3,000-square-foot therapy gymnasium with indoor walking track, offices for occupational and physical therapy, clinic rooms and patient treatment rooms, exterior walking track and activity court, and more. To learn more about this new outpatient facility, visit Sage-Rehab.org. Sage Rehabilitation Hospital is a 27-bed inpatient facility that provides 24-hour nursing care, wound care, respiratory therapy, physical therapy, occupational therapy, speech therapy and more. Sage Outpatient Services provides day programs such as neuro, driving, dysphagia, stroke, dementia and more. Serving the Baton Rouge community since 2008, Sage’s team of physical therapists, occupational therapists, speech therapists, licensed clinical social worker and neuropsychologists help patients progress to their individual goals. For more information about our services, visit Sage-Rehab.org.